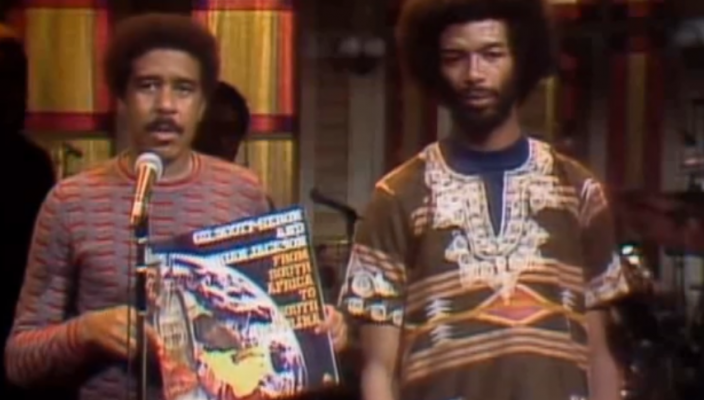 Here we have a really lovely video clip of Gil Scott-Heron with Brian Jackson and his band on Saturday Night Live from December 1975 promoting his album ‘From South Africa to South Carolina’. 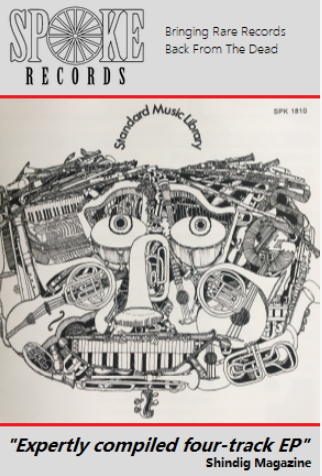 Following an introduction by Richard Pryor we see Gil, Brian and the boys perform ‘Johannesburg’ followed by a quick sketch by Pryor then back to the band performing ‘A Lovely Day’. This is Gil, arguably in his prime, with the band performing effortlessly but still tight as a snare drum. It will be 7 years this May 27th since Gil Scott-Heron passed away and his musical legacy burns just as bright as it ever did. If you’ve yet to discover his music then you’ve got an exciting musical journey ahead of you, if you’re already familiar with the work of the great man then we’re sure you’ll enjoy this clip as much as we have. RIP Gil Scott-Heron.